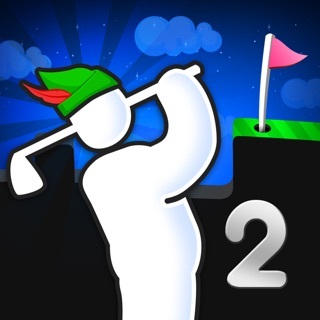 "Mini Golf Stars is free to download but can be expanded with level packs and power-ups with in-app purchase. 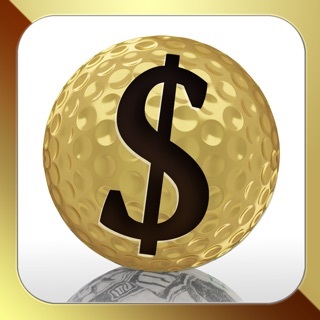 Also, Mini Golf Stars gives players, within certain geographical locations, the ability to wager money in heads up tournaments. This ability requires a player to deposit money into a Skillz account first." Please Rate Fairly - If you have any improvements or words to share about the game, please drop us a line at support@gamemasons.net - We really want to hear what you have to say! • Tons of bug fixes and performance improvements! • Tons of exciting new features! When I downloaded this game I was overflowing with enthusiasm to bring my dreams of indulging in virtual mini golf to reality. Seconds felt like minuets and minuets felt like hours as the anticipation of downloading this game ate away at my insides. I could hardly wait! 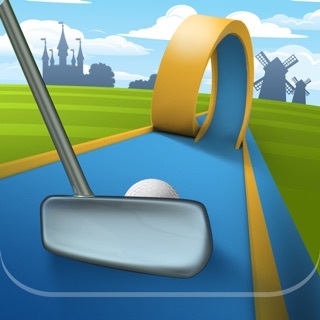 When the game finally downloaded I clicked on the app faster than you can say "Indiana Jones" As I pulled up the first hole and took my first shot a considerable flaw in the mini golf system became apparent to me. Apparently the foolhardy designers of this app don't understand the difference between a wall and a ramp. My mini golf putts were aimlessly flying off the course when they hit a so called "wall" I was in complete and utter disbelief when I witnessed this action take place. These false walls took me by surprise and absolutely rocked my world. This app is one of the most insanely idiotic apps I have ever seen. At no point in this apps incoherent existence did I even consider it a real app. Everyone who has played this game is now dumber for playing it. I award you no stars and may God have mercy on your soul. 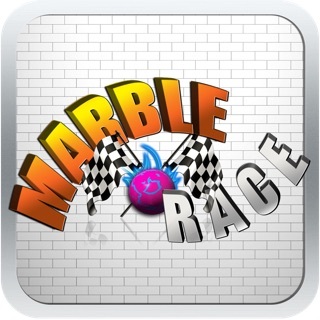 The game app picture is the only thing that looks good about the game. You hit curbs that separate the grass playing field from the restricted area and when you hit it, you go right through it. Next is you have an option to watch videos for other apps to earn boosters or coin and it says 50 free coin per video watched. After watching the ad, it then says you earned 25 coins for watching the ad. The game isn't what I thought it would be. It is someone's poor attempt to try and make some money. Lastly, there is a leaderboard that shows how many stars you have earned. You can earn a max of 3 stars per level. The leaderboard says the top player has almost 2 billion stars, which makes me believe there is 60 million levels? Sadly, it is not worth it. I would have given zero stars except the App Store wouldn't let me. There is no way this game has that many good reviews. Spend time and read them. They all sound like they were written by the same person.